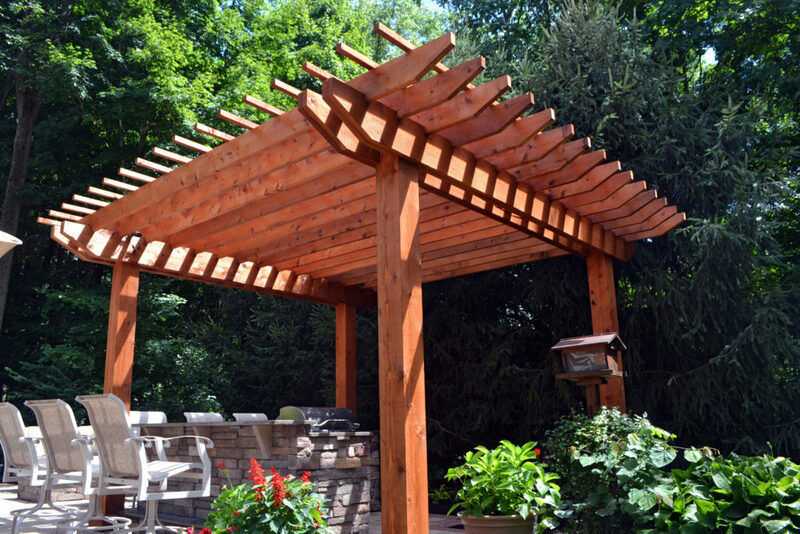 Starting with the pergola, room bases come in a variety of sizes and styles to suite your need and space. 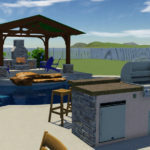 There are many configurations to choose from including outdoor kitchens, Firepits or Chimneys. 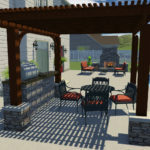 Live outside year round with a cozy outdoor living room. 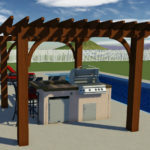 With a 2 piece room base you start with 2 options of pergola and kitchen island combinations. 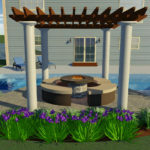 Our most popular combinations include pergola, outdoor kitchen and chimney fireplace. with 5 options to choose from. For those who want a little more shade and protection from the elements we offer the Pavilion Room Base with 3 combinations of pavilion, kitchen and chimney fireplace. American Out Back Living collections are only sold through our exclusive dealers, to find a dealer near you, click here.